The regimental archive of the Somerset Light Infantry, held at the Somerset Heritage Centre, contains two personal soldier diaries which record the Armistice. Both were written by regular soldiers with the 1st Battalion, who served throughout the duration of the war. 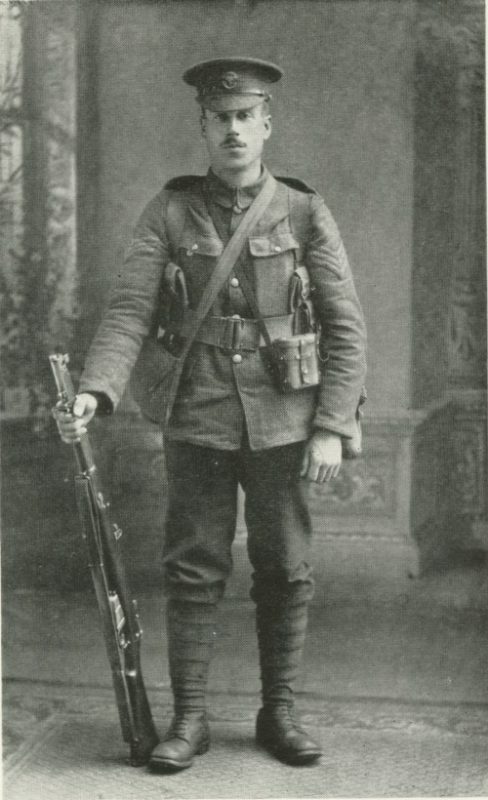 Arthur Henry Cook, who was born in Wiltshire and grew up in Yeovil, began the war as a Private and fought throughout with the 1st Battalion on the Western Front. His diary records the Battalion’s key actions, including the retreat from Mons, the digging of trenches in the winter of 1914 and the Christmas truce. He provides a detailed account of the first day of the Battle of the Somme on 1 July 1916. On 2 November 1918 he was wounded by shrapnel. ‘It seemed as if a cart horse had kicked me in the knee, I looked down and saw that a large piece of splinter had hit the inside of my left knee.’ On 9 November he was moved from hospital in France and arrived in Southampton the following day. The diary also records the victory marches in Paris and London in July 1919 and the funeral of the Unknown Warrior on 11 November 1920. Arthur Cook eventually became a Yeoman Warder of the Tower of London and died in 1956. Captain Owen Philby, from Leighland in Old Cleeve, was wounded during the retreat from Mons and became a prisoner of war on 27 August 1914. He spent the rest of the war in prison camps in Cambrai, Torgau, Burg and Magdeburg and his diary records his daily life there. Because of the difficulty Philby experienced in hiding his diary from the authorities, the entries become sparser after 1917. Owen Philby died in West Somerset in 1977.